Everything is coming together nicely. Hope you hear good news from the machine shop on your block. Just think, before you know it you will have it all back together and out playing in the dirt!!! BIG DAY! Picked up my engine parts from the machine shop! 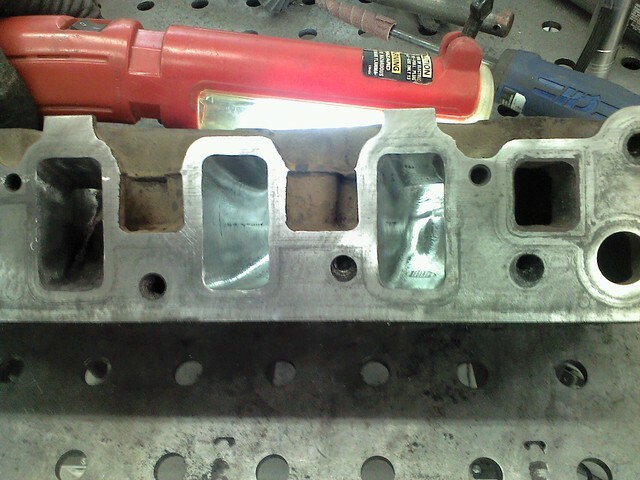 The block was bored .030 over, deck cleaned up and rods reconditioned. So I was pretty excited. After getting it home I deburred the block, cleaned it up, got the cam bearings installed and was getting ready to install the crank when I found that my gasket set had a rope rear main seal... Is this 1958??? Who in their right mind would provide a rope rear main seal in a modern engine kit? So I guess I'll be waiting on a proper seal to get here. While I was waiting on the machine shop I did manage to get the tub all ready for paint. 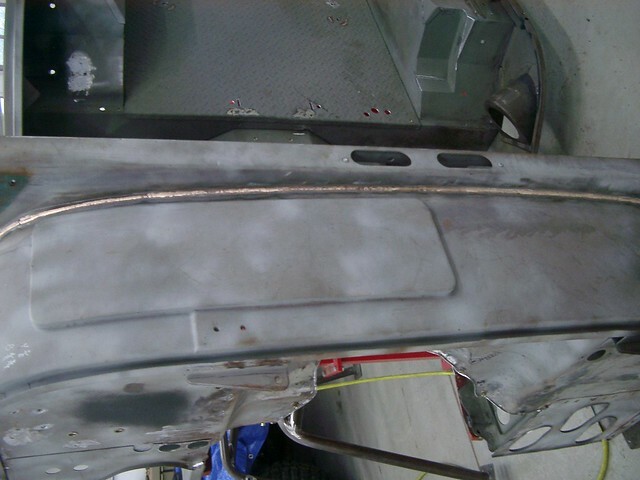 Finished filling the last of the random holes, grinding welds and taking care of panel edges, etc. I also took the opportunity to practice a little tig brazing on the cowl seam. 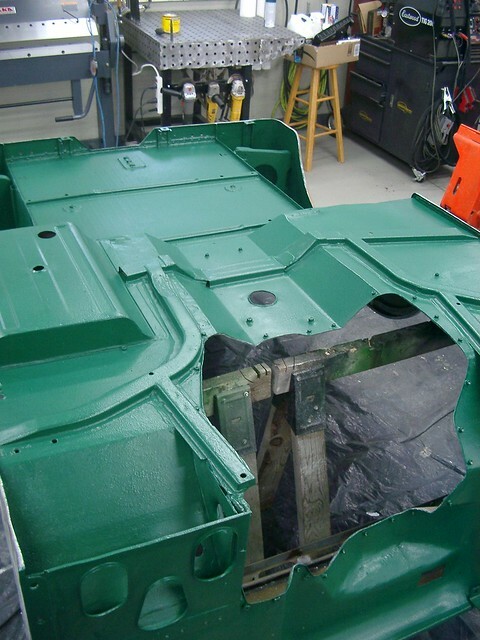 I had planned just to seam seal this but my brother is resto-moding a 48 Studebaker and wants to smooth out the front clip. Word on the street is that all the cool kids tig braze the body seams when smoothing out their hot rods so I thought I'd try practicing on something little less critical. Overall it turned out pretty good. It's a lot different from brazing with a torch but I can see why the custom body guys like it. You put very little heat into the panel and it grinds down really fast and easy. At any rate, I need to go over the tub a couple more times, maybe have my brother look it over, to make sure I didn't miss anything before I prep it and paint it. I also started working on my heads. But when I went to touch up the seats I found I couldn't dress the stones because my dressor was just grinding way... so that is something else on order. In the mean time I figured I'd take a little time and clean up the ports and bowls. Nothing critical, just something to do while I wait on other stuff. 73 cj5, Valentino84 and ITLKSEZ like this. Dang.. Things will go fast now with the machine shop work done . Hopefully the delivery truck is turbo charged. Progress continues. I did take a small break and spent 4 days in South Dakota pheasant hunting with an old Navy buddy. 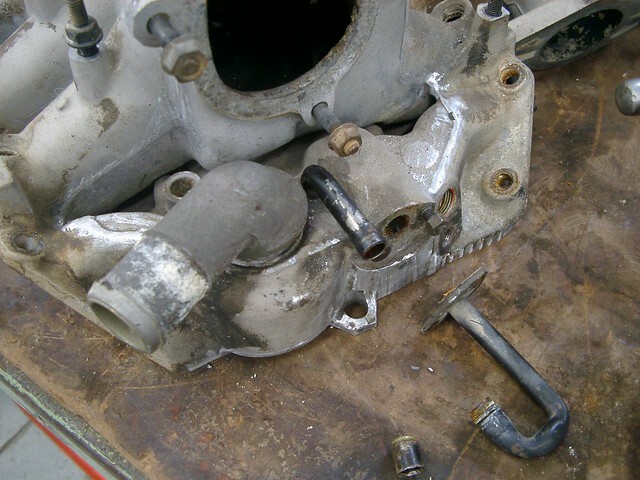 Luckily the rear main seal came while I was gone so I was able to bust a move assembling the engine as soon as I got back. Up to the point that is when I realized I needed a new sensor magnet for the cam sprocket... So I am again waiting on parts... Oh well I can get the rotating assembly finished up but that will be about all I can do until that dumb little magnet gets here. Hellion, 73 cj5 and ITLKSEZ like this. So ideally it will be impervious to rust. 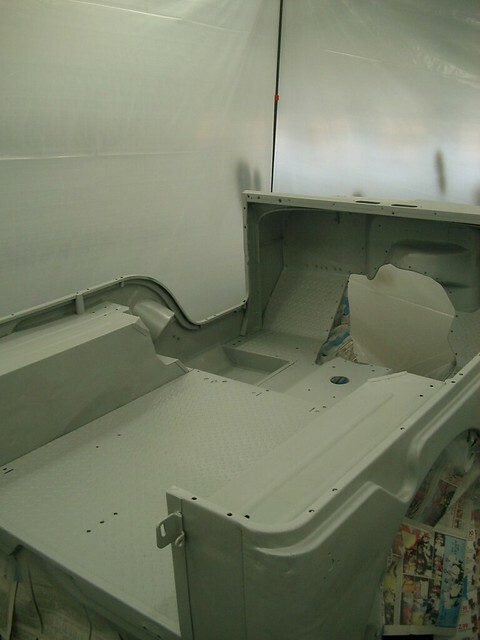 Got the tub sprayed inside and out with two coats of epoxy primer in my make shift paint booth on Wednesday. And with my wife's help, we seam sealed yesterday (no small task on a jeep tub!). Now I think I will push it aside and put off the remaining bed lining until I am a little closer to final installation. 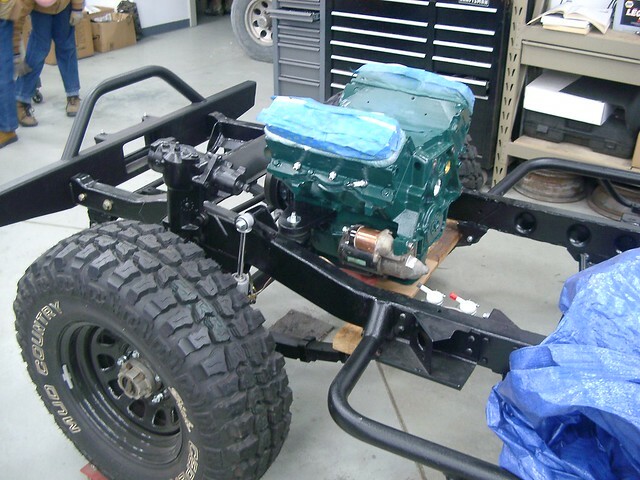 My plans are to get the entire drive train complete with exhaust, winch, etc... before putting the tub on. By that time it will probably be spring and maybe a little warmer to do the bed liner. 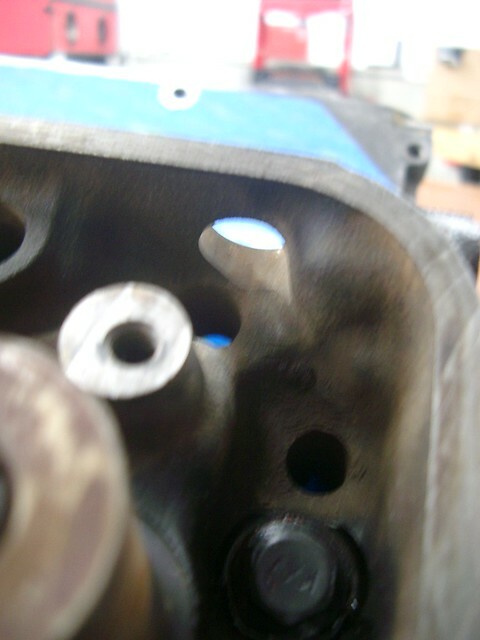 In other news, I am still waiting for the stone dressing tip so I can grind the valve seats. I was notified by the vendor that it has finally shipped so with luck that will be here any day. I've had the short block together for quite a while now, just waiting on the heads so I can paint the engine and drop it in place. But deer season starts next week so that will be an additional distraction to slow progress. 73 cj5, Hellion and Posimoto like this. Let's see how you did it. Nothing fancy or overly elaborate. I got 4 ZipWall poles off Amazon. Threw some black plastic I had laying around down on the floor, positioned the tub and completed all the prep work. Then got a roll of 10' x 100' plastic from the local hardware store and started walling off my work space. I have a vent in the ceiling for ventilation when welding so I included that inside my booth area. By the time I hooked the 10' plastic to the poles and positioned them against my 10' ceiling, it left about a 4" gap at the bottom which worked great for ventilation drawing in fresh warm air from the rest of the garage. Hellion, baldjosh, Valentino84 and 1 other person like this. that epoxy primer will dry really hard,may want to spray a 2k filler primer on it before the recoat window closes.the filler primer will sand way better than that epoxy. as long as the tub stays inside the 2k wont absorb too much moisture. The next step (regardless of when I do it) will be to scuff it and then roll on bed liner. After talking it over with brother, we I decided it wouldn't make much difference if we scuffed it now or scuffed it later. At this point I'm afraid it is what it is as I'm pretty sure the recoat window has closed. Besides, when the time comes my plan is to have the wife and kids scuff it... soooo does it really make a difference how hard it sands if I'm not the one doing it? Yes like the difference between a day of sanding and a week worth. 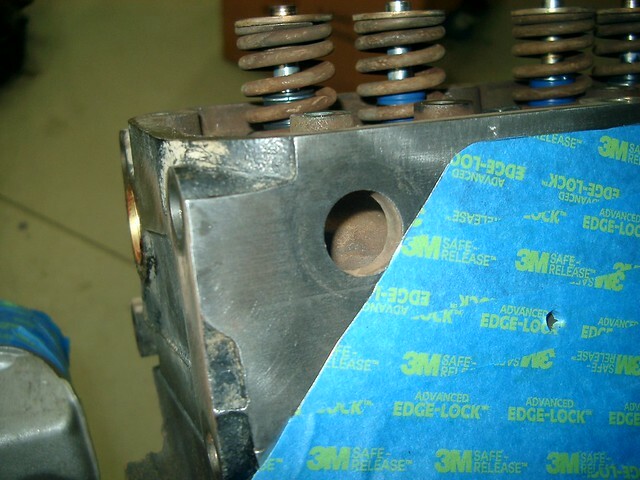 - The block is from a 1990 Buick Lasabre (LN3 3800). It was bored .75mm (essentially .030) so it is real monster now right at 235 cubic inches! It probably would have cleaned up at .020 but I found a matched set of .75mm pistons for $8 each as opposed to $30 each for the .50mm ones so that was an easy decision! - Overall the rebuild was very straight forward with only a couple of modifications. First the machine shop grooved the back of the center cam bearings for me to help control oil and improve flow to the top of the engine. 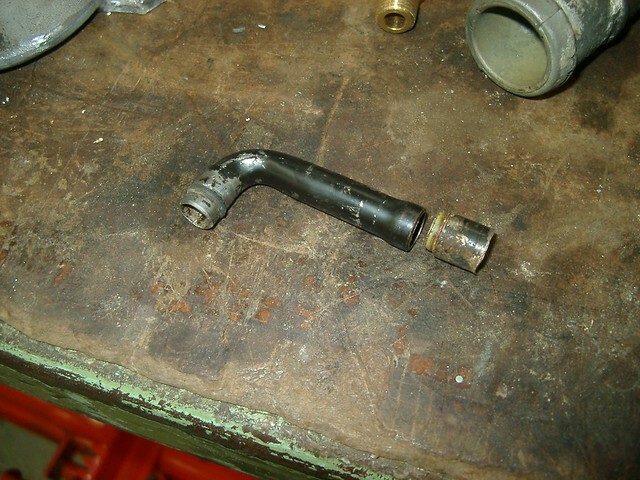 This is an old builder's trick applicable to all Buick V8's and V6's. 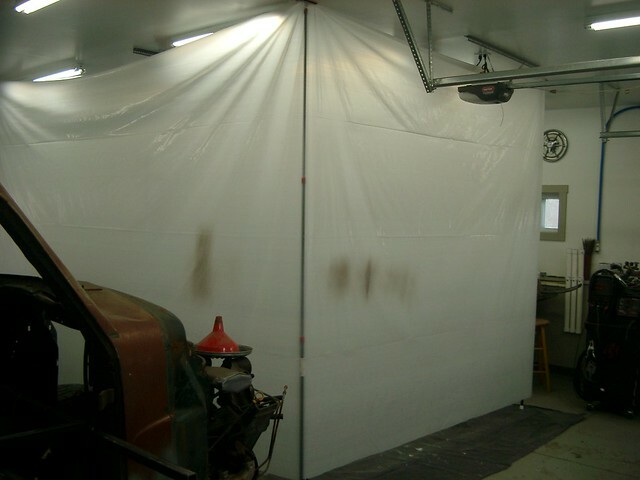 You can find covered on several Buick engine web sites. - I also omitted the balance shaft. This might be controversial to many but I did not come to this decision lightly. Originally the balance shafts in these engines were not serviceable and were replaced as a unit. Unfortunately new assemblies are no longer available. 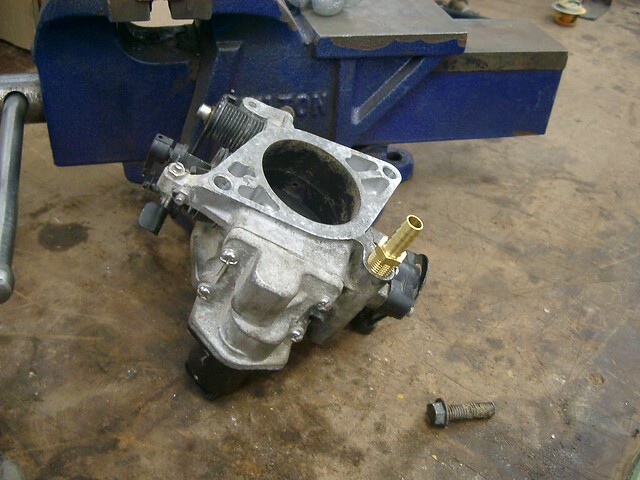 I was going to try and rebuild the balance shaft myself but after talking to my machine shop, who has rebuilt numerous Buick V6's and a couple of guys who race these engines, I decided to just omit it. From everything I have read and been told, omitting it is worth about 15 horsepower (not that I care) and it is only just barely noticeable idle. So we'll see. It is really easy to just leave out. There is no dedicated oiling for it. It is just splashed oiled from the lifter valley. You do have to leave the drive gear on the camshaft as a spacer for the timing chain but I think that would be fairly obvious to anyone during assembly. I just used a freeze/core plug. Of note, a 3/4" plug is just a wee bit too small (in case you happen to just throw a tape measure across it real quick and then race off to order some... not that I would do that) so you need two 20mm plugs to fill the holes. They are a snug fit, but after I chamfered the opening ever so slightly with a dremel they were fine. Getting excited seeing parts actually going together for the last time. Now I just need to get the manifold cleaned up, figure out my pilot bearing and clutch, install the rest of the drivetrain, fab up some exhaust, go through the winch quick like a moose and I'll be ready to drop the tub on! I'll be done in no time! At least now if Santa happens to look in the shop tonight he can see what a good boy I've been and maybe leave me something special for the jeep!! Nice summary on the engine build, it's interesting to hear the details.